Taste and texture are the most important quality factors for consumers. If it doesn’t taste and feel right, the quality is not assumed to be good. An important way to predict these properties is to perform viscosity measurements on the fluids during production. The in-line instrument was successfully used to measure complete velocity profiles and rheological properties of mayonnaise and results were available in continuously and in real time. As a result, it was possible to determine the yield stress parameter directly in-line from the measured data. The data can then be used to define the technical specifications for R&I for example. 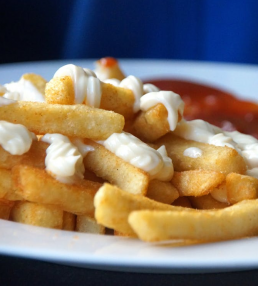 Our ILR instrument was used to measure complex rheology of different types of mayonnaises under real processing conditions in a mayonnaise pilot plant. 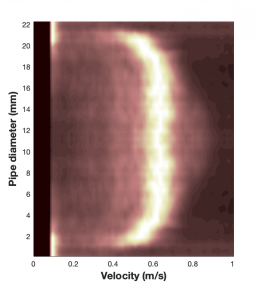 A 2D scan of the flow inside the pipe shows the shape of the velocity profile during the manufacturing process. As the mayonnaise texture change an instant change in the flow image can be observed. 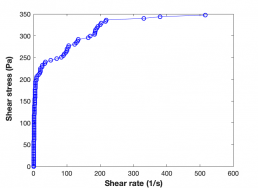 In-line measurements of emulsion rheology. Process monitoring and control of batch process. Eliminate time-consuming analyses of samples. Link important fluid quality parameters to your process.